Dad bought this car on January 18, 1962. 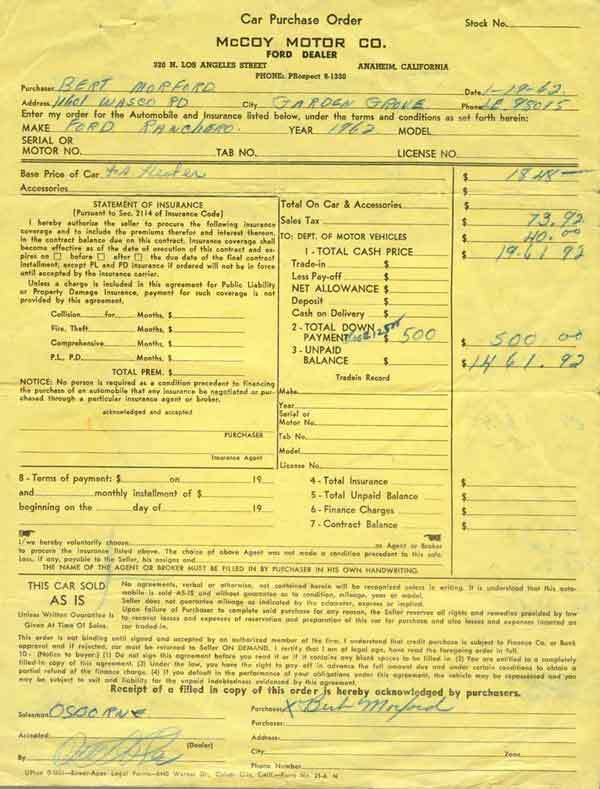 It came with a 3 speed, the 144 cu/in engine and an optional heater (no radio). Total after taxes and license fees was $1961.92. The car has been a little workhorse. My brother and I both beat the crap out of it as we learned to drive and then abused it racing it around Orange County. Over the years a stock radio, later style hood hinges with springs, and an electric windshield wiper were added. Eventually a 170 replaced the 144. In 2000 the little 3 speed grenaded. EVERYONE said ditch the trans and put in an automatic, since any used 3 speed would be ready to explode. I was lucky enough to find a Ranchero that had been upgraded to a 1971 Maverick 3 speed at a vintage junk yard. I was able to modify and keep the 3 on the tree linkage. Here's one of only a handful of pictures I have of the Ranchero in its earlier years. 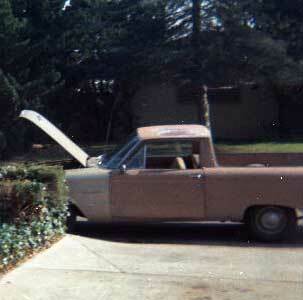 I was using the Ranchero to jump start my own car in about 1970. 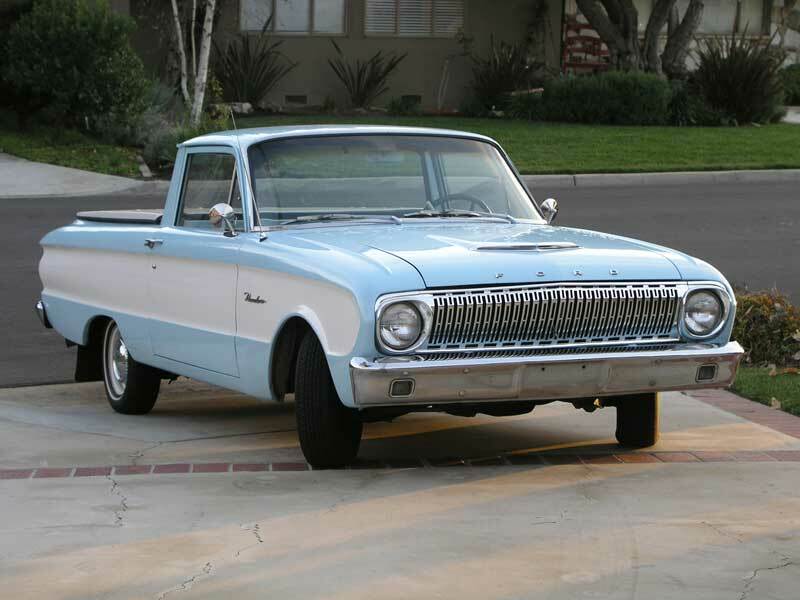 Soon after dad bought it, he drove the Ranchero to Palm Springs and was caught in a sand storm. The front end and windshield were destroyed. Obviously, the paint department did a bang up job on matching the paint.